Traditionally, auto repair businesses have been run by entrepreneurs with prior and extensive experience in the auto repair industry. Today, AAMCO is seeking to shift this paradigm by making our repair franchise easier to own and scale than ever before, thereby opening our doors to entrepreneurs without experience in the auto industry. This focus on making the AAMCO franchise opportunity more inclusive has been overwhelmingly positive, especially for passionate first-time entrepreneurs, for corporate executives who want to apply their skill set to running their own business and for married couples who want the opportunity to make a brighter future together. Married couples are especially successful as AAMCO franchisees, some of whom are now among our top-performing franchisees in the AAMCO franchise network. One the many couples to have mastered the AAMCO business model are Thomas and Rhonda Scott, owners of nine AAMCO franchise locations, seven of which are in Oklahoma City and two are in Tulsa, Oklahoma. 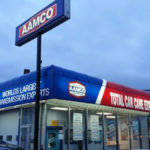 While the Scotts are the largest AAMCO franchise owners in the entire system, neither Thomas or Rhonda had prior experience in the auto repair industry before deciding to invest in an AAMCO franchise. 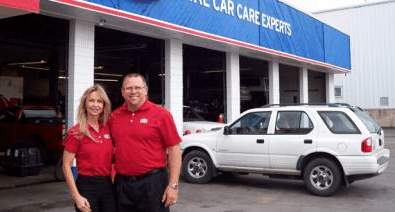 How did Thomas and Rhonda go from not having any experience in the auto repair industry to being our largest franchisees? 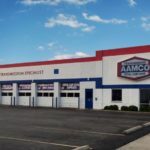 In recent years, AAMCO has blossomed as a forward-thinking, 21st-century auto repair franchise, making significant investments in training and education to ensure that new entrepreneurs like Thomas and Rhonda have the resources they need to be successful. In 2014, AAMCO launched our state-of-the-art training platform, AAMCO University, which offers 300 courses with expert instructors. Courses range from basic shop safety to master-level diagnostics and transmission rebuilding. These modules are offered in the classroom, online and in interactive settings. The training extends to employees, as well, helping with recruitment of the most talented technicians. They also have access to courses that will help advance their skill sets and careers. Beyond training, AAMCO ensures that our franchisees have the tools they need in their businesses to track their growth. AAMCO is rolling out a new comprehensive Point of Sale (POS) system, which will improve AAMCO’s business model by providing the ability to create estimates and invoices for customers much more quickly and easily, driving revenue for franchisees in their centers. The cloud-based system is accessible from anywhere in the world, and it provides a suite of tools designed to provide executive-class analytics on business performance, making it easier for franchisees to truly know their businesses and to take the steps they need to make their businesses grow. Kim and Greg Johnson are a married couple who have owned their AAMCO franchise in Santa Cruz, California, since 2005. 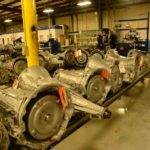 The multiple revenue streams they are raking in because of their ability to offer a world-class transmission service have proven to be both recession-proof and lucrative. Ultimately, the AAMCO franchise is a tight-knit family. The franchisees and executive team work together to help each other grow and prosper. For Sherri and Sam Underland, owners of an AAMCO franchise in Levittown, Pennsylvania, this family culture has fostered friendships with fellow franchisees that will last a lifetime. 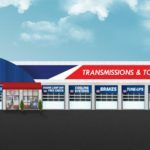 “The thing that I love about the AAMCO transmission franchise network is that I have friends across the country who are doing the same thing,” Sherri says. “At every AAMCO franchisee convention, I leave with at least one trip planned to visit a franchisee colleague. We have fun. We go on motorcycle rides. We travel together.